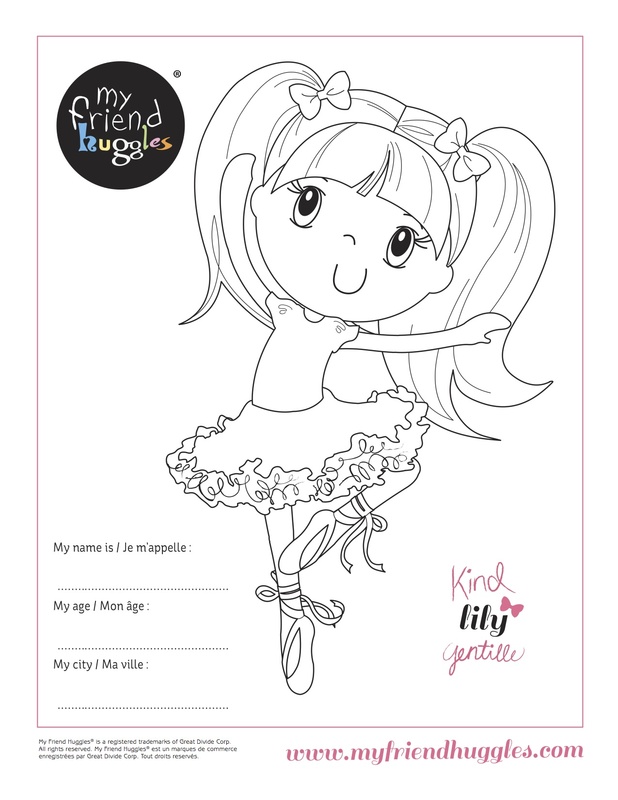 In honor of Kindness month, we are giving out a FREE Lily coloring stencil. 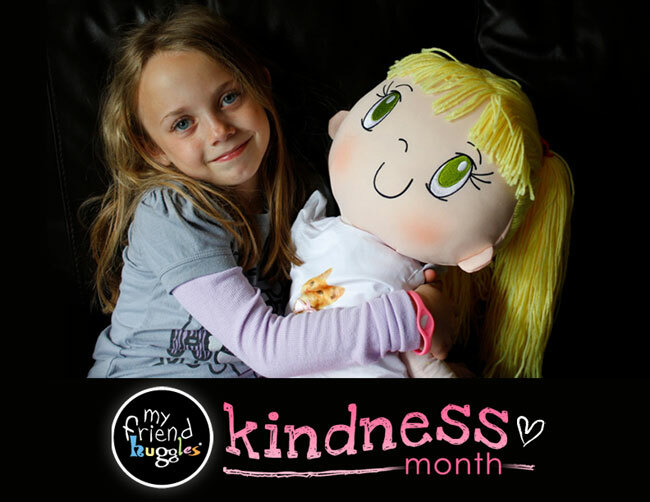 July is Kindness Month – WIN a FREE Lily Doll! July is one of our favorite months because of the beautiful weather, and the smiles that come with it. More importantly, for kids, July means summer vacation! That comes with extra time with friends and family, and lots and lots of fun. There is no better moment than the sunniest month of the year to start your Huggles Challenge, which is why we are super excited to launch KINDNESS MONTH. What does kindness mean to you? Talk about it with your friends and family, and see what you come up with. Then share it with the Huggles Community on our Facebook Page or on Twitter! Tip: Lily says that kindness means be a good listener! Always say please and thank you. Treat others the way you like to be treated. Do you agree? Wherever you go, and whatever you do, there is always a moment to be kind. You can hold the doors open on the elevator, or ask someone if they need help. Say something nice to someone, and smile when you say thank you. We promise that it gets easy with practice, and will make you feel all warm and fuzzy. Once you’ve found a new way to be kind, tell someone how you did it! That way you can share your ideas and help others be kind too! If you’re extra proud of your act of kindness, send us a written story and we can share it with the rest of the Huggles Family. You will then be ENTERED TO WIN A FREE LILY DOLL!